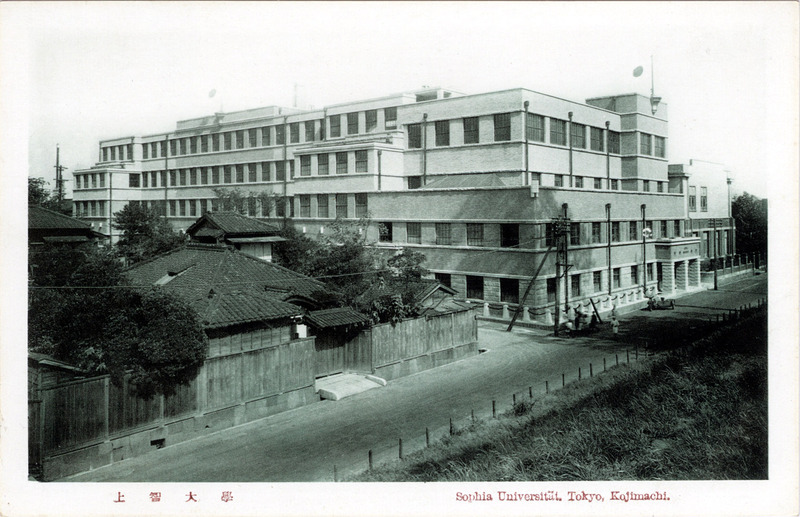 Sophia University, Kojimachi, Yotsuya, c. 1930. 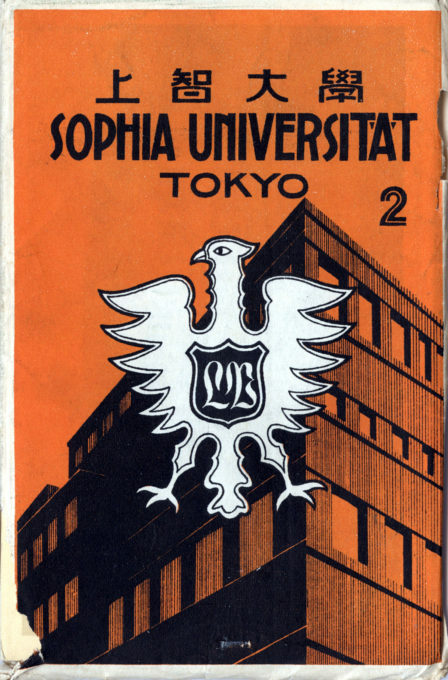 Sophia University (cover), c. 1930. The cover artwork displays the Germanic Jesuit origins of the school, featuring a stylization of the Prussian imperial eagle. Within the eagle are the initials “LV”, for the Latin Lux Veritatis (Light of Truth), the school’s motto. 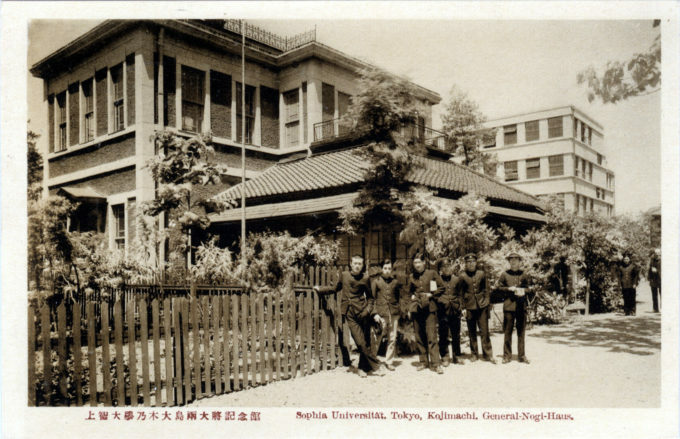 From the wiki: “Sophia University (Jōchi Daigaku) is a private Jesuit research university in Japan, with its main campus located near Yotsuya station. 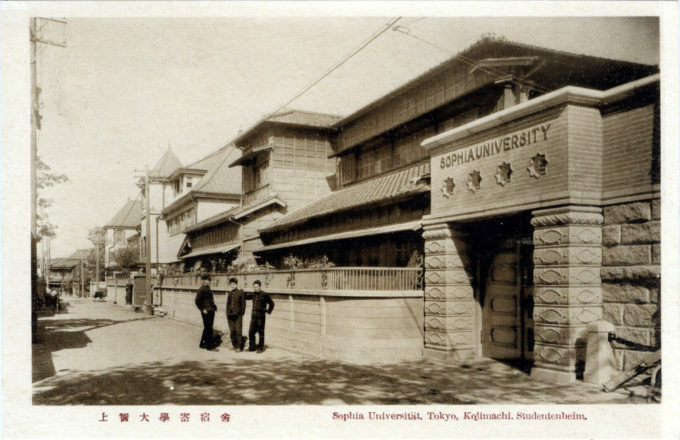 Sophia University was founded by Jesuits in 1913. It opened with departments of German Literature, Philosophy and Commerce, headed by its German founder Hermann Hoffmann (1864–1937) as its first official president. 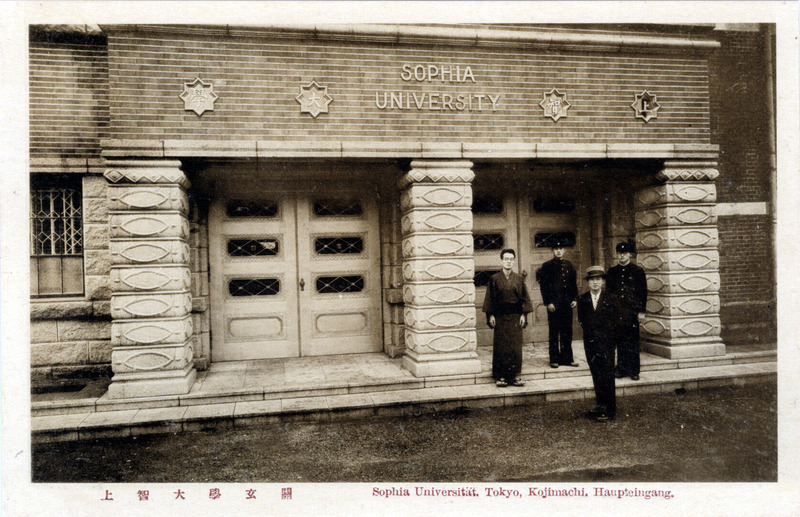 Sophia University takes its name from the Greek Sophia meaning ‘wisdom’. 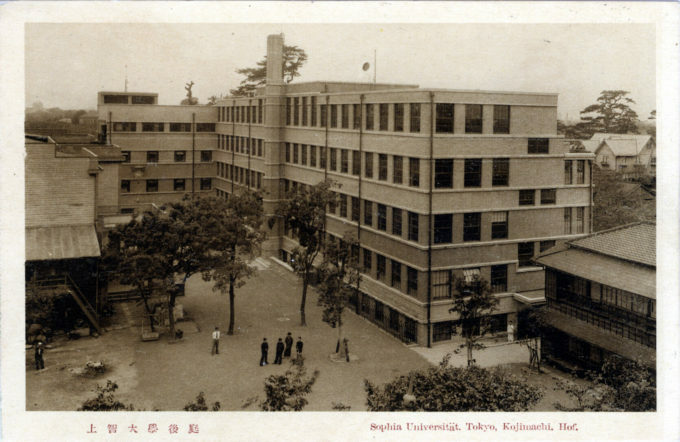 Its Japanese name, Jōchi Daigaku, literally means ‘University of Higher Wisdom’. Sophia is ranked as one of the top private universities in Japan. Sophia University, Main Entrance, c. 1930. 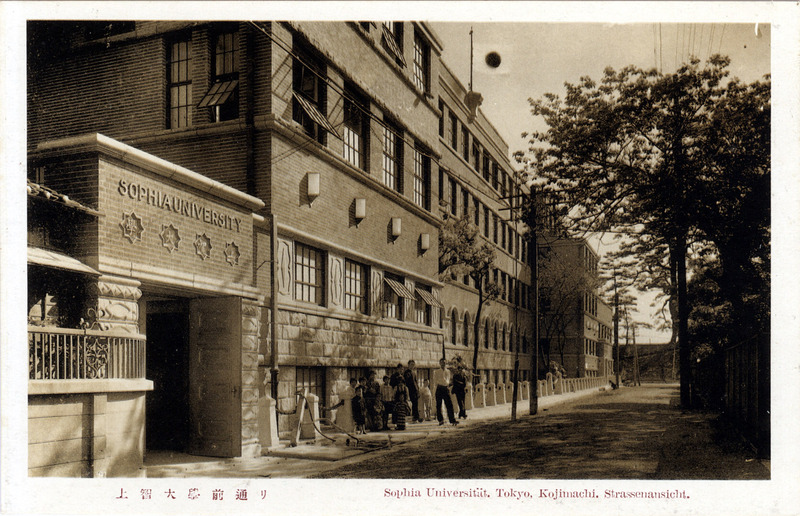 Sophia University, student dormitories, c. 1930. 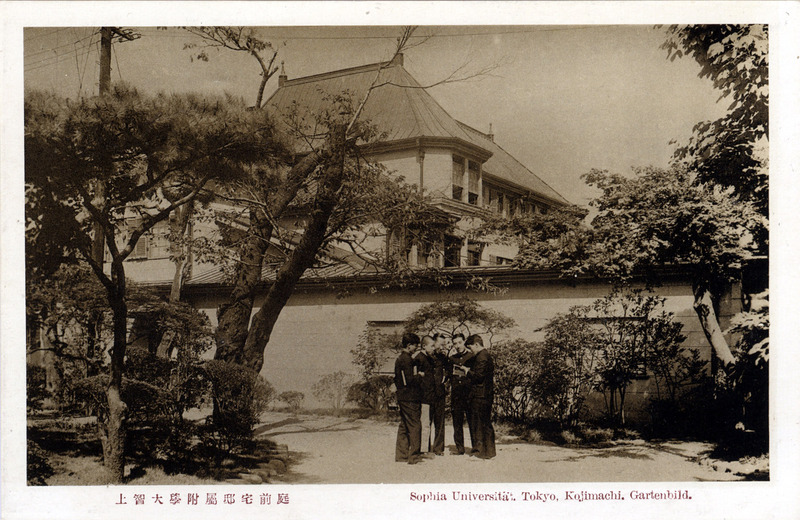 Sophia University, Courtyard, c. 1930. 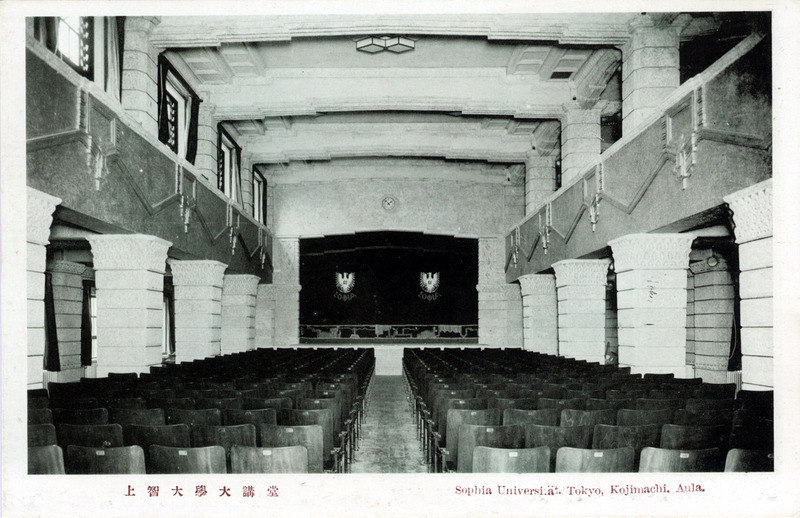 Sophia University, Auditorium, c. 1930. “Wall street”, Sophia University, c. 1930. 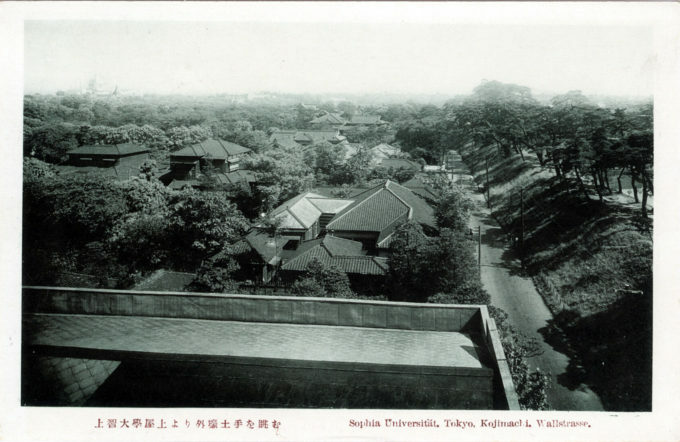 Sophia University garden, in summer, c. 1930. 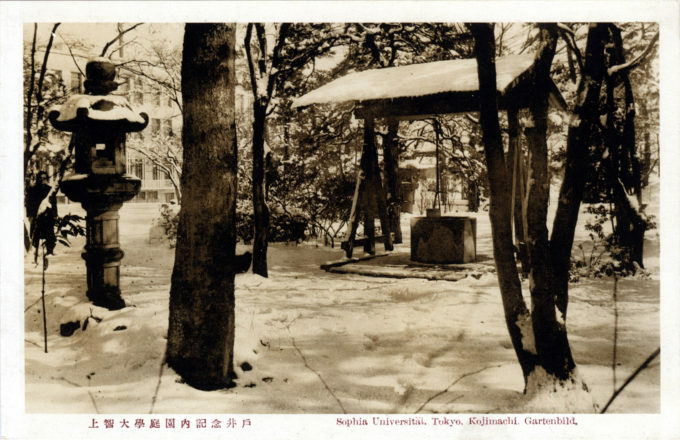 Sophia University garden, in winter, c. 1930. Sophia University students on a field trip to General Nogi‘s house, Akasaka, c. 1930.